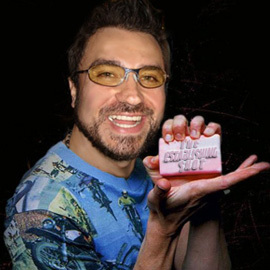 Lionsgate are holding a Pi: 15th Anniversary Launch Party & Screening at the Alibi London tonight and you are invited! 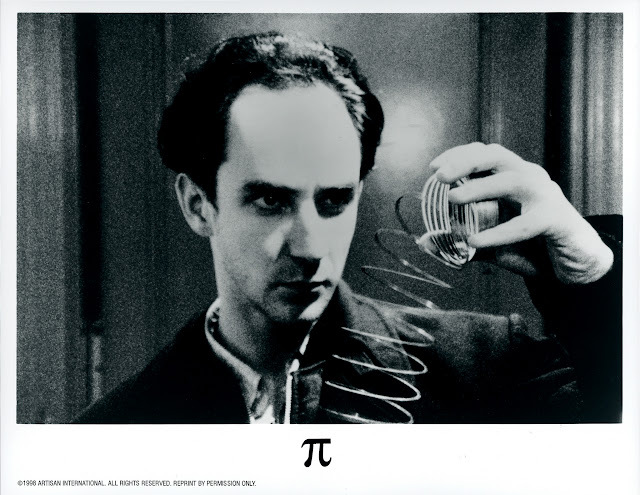 Everyone knows how much I love Darren Aronofsky's Pi in my opinion it's one of the 131 greatest films ever made. A clever gritty black & white film blurring genius, isolation, paranoia and conspiracy theories of global proportions an increasingly tightly wound story - what's not to love? 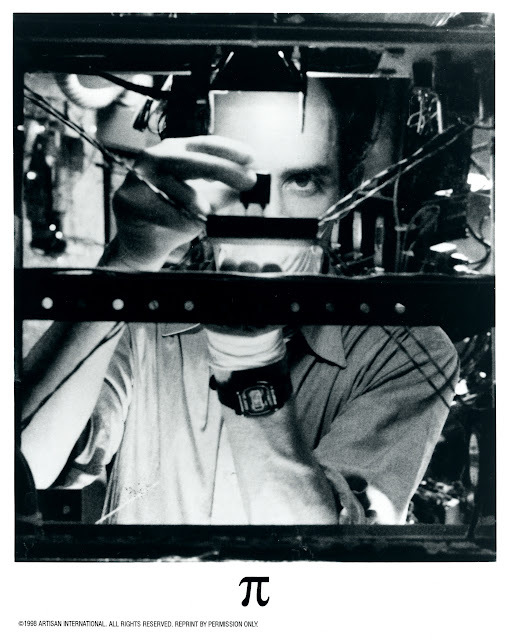 Aronofsky's 1988 debut feature Pi goes against the grain of the Hollywood machine and is an astounding film not just in terms of a creative endeavour and technical proficiency (on a shoestring budget) - but he introduces brilliant, complex concepts in an engaging way tapping into the zeitgeist of the times as well as ahead of the Hollywood curve - stimulating an eager audience, that had an awaiting a film that satisfied on both an intellectual and entertainment level. 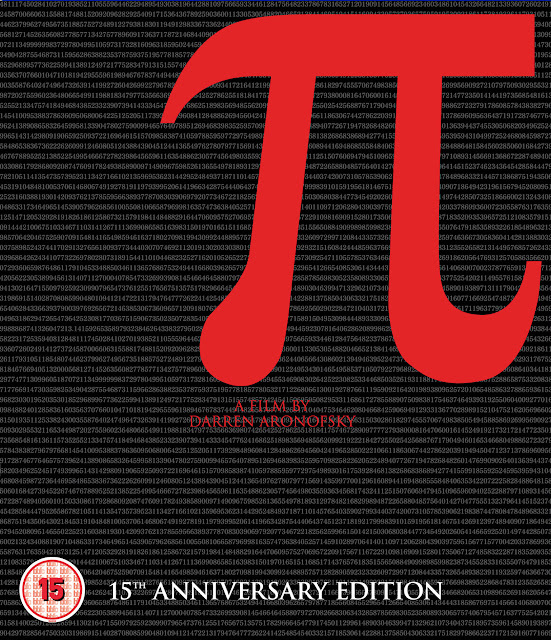 Not only is Pi a visual experience but the carefully selected music, which notably includes an original piece Pi (Symbol)r2 from Clint Mansell, blurs the lines between the character's fiction and reality even further, enhancing the films moods as it conveys the increasingly confused state of mind of Sean Gullette's Maximillian Cohen. The soundtrack adds to a rich immersive cinematic experience as well as can be enjoyed as a standalone piece of art. 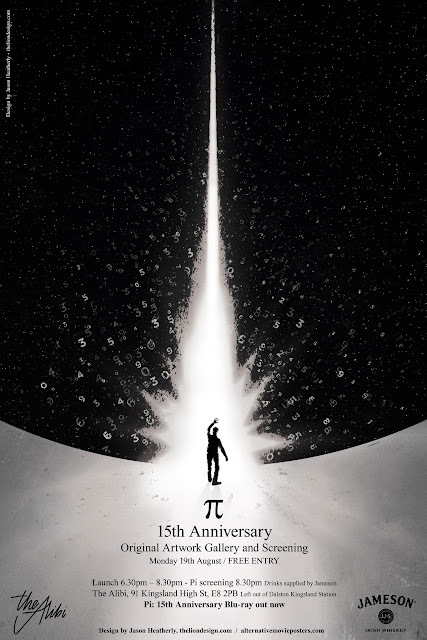 To celebrate Pi's 15th Anniversary, its standing as one of the most original examples of cult classic independent American cinema as well as the birth of a great filmmaker. 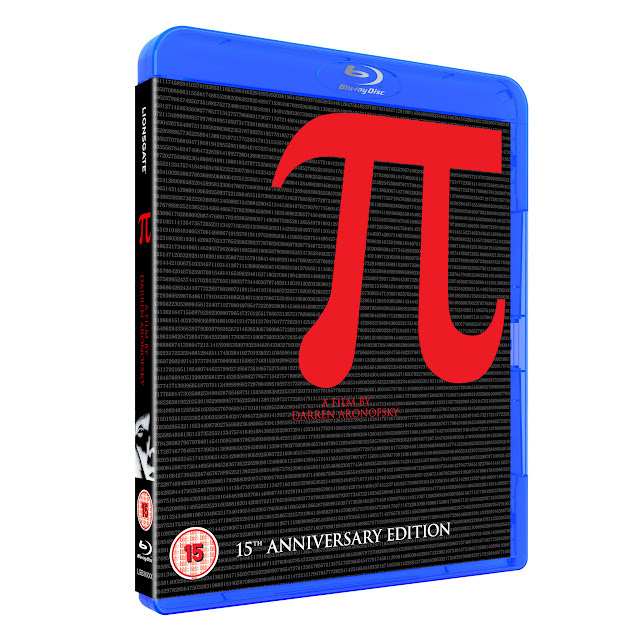 Lionsgate have released a special Pi: 15th Anniversary Edition Blu-ray, so we can enjoy one of Darren Aronofsky's greatest film in full High Definition. To celebrate the launch of the Pi: 15th Anniversary Edition Blu-ray, Lionsgate are holding a launch party where you can view a Gallery of fan made Pi poster art from a competition held in conjunction with AMP - the home Alternative Movies Posters, enjoy a high definition screening of Pi as well as enjoy free drinks supplied by Jameson Whiskey until the screening of Pi starts and then Free karaoke follows the screening from 10pm. Entry to the launch party is free and completely unticketed all are invited to come come along to this special Pi Blu-ray launch. With free entry all night, prizes and free drinks supplied by Jameson Whiskey until the screening of Pi starts at 8.30pm. The launch party starts at 6.30pm with the gallery and drinks on Monday 19th August.